OnePlus finally launched its flagship OnePlus 6T smartphone in India at an event in Delhi yesterday evening. It was first introduced in New York on Monday. The OnePlus 6T comes with several new features like a 6.41-inch display with a waterdrop notch, an in-display fingerprint scanner, Android 9.0 Pie and a few improvements in camera as well. 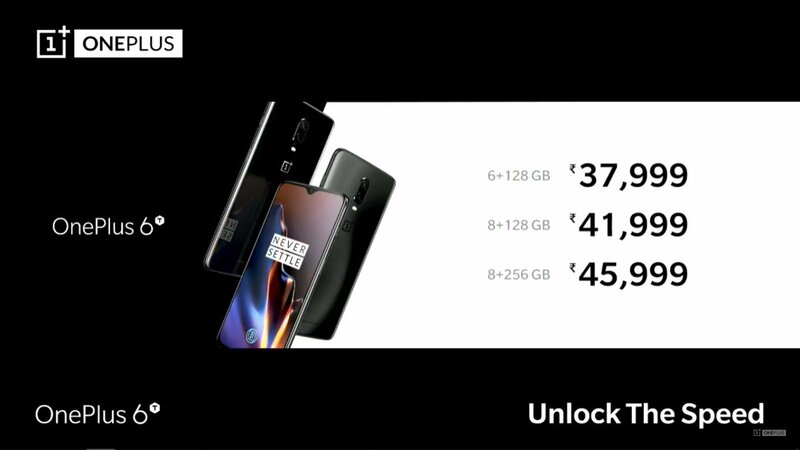 The OnePlus 6T 6GB+128GB version is priced at Rs. 37,999. The 8GB+128GB version costs Rs. 41,999 and the top-end 8GB+256GB version costs Rs. 45,999. It will go on sale exclusively via Amazon India and OnePlus store from November 1. 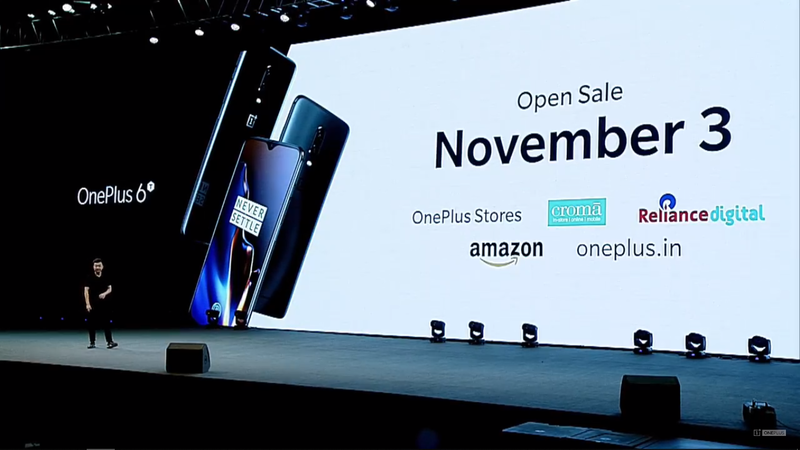 The OnePlus 6T open sale will start from November 3 via OnePlus stores, Reliance Digital and Croma stores. If we talk about launch offers, there is Rs. 2,000 instant discount on the OnePlus 6T with ICICI Credit/Debit cards and Citi Credit cards for a limited period on Amazon. The company also offers no-cost EMI for 6 months and Rs. 1000 cashback in Amazon Pay on purchase using any prepaid payment method between Nov 1 and Nov 5. Reliance Jio offers Rs 5400 instant cashback in the form of vouchers. 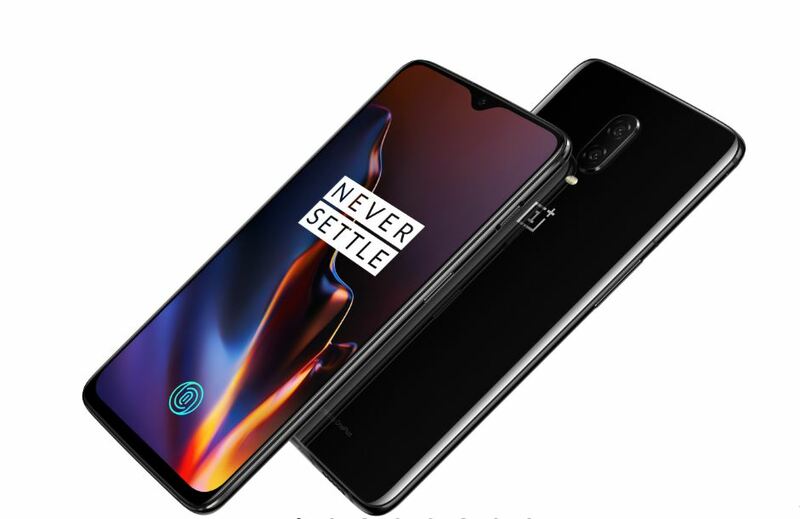 The OnePlus 6T sports a 6.41-inch FHD+(2340 × 1080 pixels) Optic AMOLED display with 19.5:9 aspect ratio and Corning Gorilla Glass 6 protection. It has an in-display fingerprint sensor. Under the hood, it has Snapdragon 845 chipset with Adreno 630 GPU, and up to 8GB RAM and up to 256GB storage. It runs Android 9.0 (Pie) with OxygenOS 9.0. It has a 16MP primary Sony IMX519 sensor with f/1.7 aperture, OIS, EIS, and a 20MP secondary Sony IMX376K sensor with f/1.7 aperture. It has a 16MP front camera with Sony IMX 371 sensor and f/2.0 aperture. It comes with Nightscape mode, 480 fps slo-mo at 720p, 240 fps at 1080p, and 4k at 60 fps. It also supports face unlock feature. It has the alert slider same as it’s predecessor, but it doesn’t have a 3.5mm audio jack. Connectivity options include 4G VoLTE, WiFi 802.11 ac (2.4GHz + 5GHz), Bluetooth 5, GPS + GLONASS, NFC,and USB Type-C. It packs a 3,700 mAh battery with OnePlus’ Dash Charge (5V/4A) fast charging support. The phone comes in Mirror Black and Midnight Black color options.